[Mirror] Wedges of Rath: Another try? This is a mirror of my opening post in the Wedges of Rath: Another try thread over on the old board. I'm not sure if this thread fits here. Unfortunately, there isn't really a forum for discussing (or just reminiscing about) custom sets and projects that were around years ago. I'm absolutely not sure if it's a good idea to take this up again, but hear me out. The upcoming release of Dominaria has sparked a bit of nostalgia for my early days of Magic again (I started playing around the time of Weatherlight). As a result, I've looked at the set file of the old Fragments of Rath community project (discussion and design thread here, release announcement here) again recently. I don't want to necro the old threads though, so I'm opening a new one. What I've noticed about Fragments of Rath is that even in its 1.23 version, it still has severe issues. It bugs me a lot, because I was rather active in this project, and I think many of its issues are my fault to a degree. I understand why it was not well liked - Neottolemo, who was also involved in the project back then, even went so far as to say he hates it. Personally, I don't hate it, I even feel a certain nostalgia for it - the first custom set I ever finished (aside from my own first Core Set from 2013, which was utterly bad). I think we had a few interesting ideas back then. In retrospect though, I think it were precisely my ideas that caused most of the issues of the set. I am probably simply not a good designer. As I see it, the wedges with the least issues are Dega and Ceta, and they're also the ones to which I contributed the least. I would like to identify the issues and possibly fix them, maybe overhauling the set or starting from scratch, and I would be interested to know if you guys would be interested in helping me. * Surface. It has often been pointed out that "is put into your graveyard from your library" doesn't need to be keyworded. I still like the idea behind it, and it works quite well with the flavor we were going for with Ana. Of course, it also has some other issues as well, like being fairly impractical. If I proposed this mechanic today, I would define it as "a card surfaces when it is revealed (from your library) or put into your graveyard from your library". This change makes it more flexible to various uses and kinds of card interactions. Surface is one of the mechanics that I would like to keep in some fashion, but I admit it has issues that need to be resolved somehow. * Retribute. This is another example of a mechanic with an idea behind it that fits well with the flavor of Raka, but that is rather impractical. I'm not sure how to fix it though. I hesitate to say that I like it, precisely because it's so impractical... but it was kind of a pet idea of mine back then, so I guess my feeling towards it is still colored by nostalgia. * Slivers. I don't think including them was my idea, but I'm not entirely sure any more - but that's beside the point, because either way, I still agreed to their inclusion. They don't fit into the set. There is far too little support for them. I realize Slivers are an important part of Rath's flavor, but I also simply don't like this creature type any more (particularly because I don't like tribal at all any more). In retrospect, I should have spoken out against their inclusion. * Spikes. Once more, they are an important part of Rath's flavor. The problem with their inclusion is that they don't fit well into a wedge set. Spikes are pretty much mono-:gmana:, with only a single :bmana: one. We pretty much built Necra around them. That was a mistake, as were :wmana: Spikes, not to mention Spike tokens (!). In retrospect, I would still include them, but only in :gmana: or maybe :bmana:, but I'd spread them out across Necra, Ceta and Ana, and make Necra's main theme something else (it could still be related to +1/+1 counters though). I wonder if the idea behind the set can be salvaged, and if there is even interest in trying again. As I mentioned above, this set is hated, and I realize it's hated for a reason. Essentially, I want to see if I can make the idea behind this set work. But it was a community project back then, so I want to invite the community to help me once more. This will also help me see if there is even interest in this. Also, if you were involved in the project back then, or even just noticed the set in some way or fashion, I would like to hear what you think of it today. As one of the guys who was on this project, I loved it as much as you did. But then I started realizing cool cards in a set folder does not make a cool set. Since then, people have come a long way to understanding the concepts behind MTG design and people have made sets with equal to greater quality than WotC. And I feel like we didn't have any of that when we were starting. Also, ever since KTK, wedge sets just arn't really in vouge anymore. If we were to do something like this again, maybe take one of these ideas and expand it out into its own plane? Either Ana or Dega seems like a good idea to expand into a full fleged plane (either a sunken world ruled by the elderich or a Romanesq world to contrast the Therosian greek one). Raka was the Roman-esque world, not Dega. Dega was the world ruled by Selenia. A full five-color plane with the premise of Ana (flooded world, ruled by Mindflayer-esque Cephalids and Eldritch Horrors, with a "Library Matters" theme) is still an idea I find highly interesting. It's probably a bit difficult to justify the existence of plains and mountains with that premise though. Wouldn't plains be submerged? And wouldn't mountains either be submerged as well or just be islands? Fitting and into that premise seems like a challenge altogether. I would like to try though. Maybe we should start with the mechanics. I still want to use some version of Surface, although it could probably be changed from (a card surfaces when it's put into your graveyard from your library) to (a card surfaces when it's revealed or put into your graveyard from your library). This gives us more options for coming up with support cards. What other mechanics could there be? I still want to keep the waters as both real, physical waters and as a metaphor for the subconscious, like we did in Ana. I think that was fun to play with flavor-wise. I still want to use some version of Surface, although it could probably be changed from (a card surfaces when it's put into your graveyard from your library) to (a card surfaces when it's revealed or put into your graveyard from your library). Infohazard didn't work because it tried to cast the card mid-reveal, which would often mean trying to cast spells midway through the resolution of other effects or taking a card off its original path when it's on the way to a different zone. As long as surface is a triggered ability rather than an alt-cast effect, it should be okay, but will need to be power-checked very carefully, because there are a lot of very cheap ways to mill yourself or reveal cards. Most cards in the original set indeed used it as a condition for a triggered ability. I will repost them tomorrow so we can see if that would work. And yeah, the Ana wedge had a reputation for being too strong - even despite the fact that there wasn't that much support for the mechanic in the set. First of all, I just noticed that Surface was inconsistent in Ana. On some cards, it meant "a card surfaces when it's put into your graveyard from your library", on some others, it meant "a card surfaces when it's put into a graveyard from a library". Any project that takes up this keyword again needs to fix this inconsistency, of course. Whenever a creature card surfaces, you may exile it. If you do, put a +1/+1 counter on Abyssal Rotmaw. When Abyssal Rotmaw surfaces, you may pay . If you do, creatures your opponents control get -2/-0 and lose flying until end of turn. Then shuffle Abyssal Rotmaw into your library. Whenever a creature card surfaces, you may pay . If you do, Ana Gharial is unblockable until end of turn. : Shuffle Analyzoth from the battlefield or from your graveyard into its owner’s library. Whenever a card surfaces, Anazoa gets +2/+2 until end of turn. Other Frog creatures you control get +1/+1. When Breeder of the Depths surfaces, put two 1/1 green and blue Frog creature tokens onto the battlefield, then shuffle Breeder of the Depths into your library. Whenever a land card surfaces, you may pay 1. If you do, put that land card onto the battlefield tapped. Whenever a creature card surfaces, Canopy Elves gains flying until end of turn. When Cephalid Gambit surfaces, you may pay . If you do, draw two cards. , : Target player puts the top card of his or her library into his or her graveyard. If a land card surfaces, untap Cephalid Mindbreaker. Whenever a creature enters the battlefield under your control, if it surfaced this turn, put two +1/+1 counters on it. Whenever a card surfaces, Dementia Lurker gains intimidate until end of turn. When Dementia Lurker surfaces, you may pay and sacrifice a creature. If you do, return Dementia Lurker from your graveyard to the battlefield. Whenever a card surfaces, if it is the first card that surfaced this turn, you may return a land you control to its owner’s hand. If you do, add to your mana pool. Whenever Dreadfin or another creature card surfaces, you may pay . If you do, return Dreadfin from your graveyard to the battlefield tapped. Target player puts the top 10 cards of his or her library into his or her graveyard. Put each creature card that surfaces this way onto the battlefield under your control. Whenever equipped creature attacks or blocks, if a creature card surfaced this turn, it gets +2/+2 until end of turn. Up to two target lands become islands until end of turn. When Leviathan’s Wake surfaces, you may pay . If you do, destroy target land, then shuffle Leviathan’s Wake into your library. Whenever an instant or sorcery card surfaces, exile it. 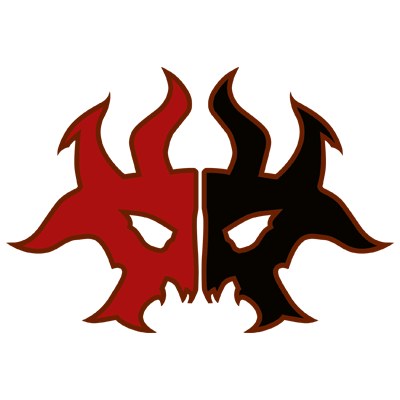 You may cast cards exiled by Loth’kadrael Arcanist as though they were in your hand. Whenever Lunatic’s Assistant dies or surfaces, you may pay . If you do, each player puts the top three cards of his or her library into his or her graveyard. , : Put the top two cards of your library into your graveyard. If a creature card surfaces, put a +1/+1 counter on Marshpole Fisherman. When Murkshallow Tadpole surfaces, you may pay . If you do, put it onto the battlefield with a +1/+1 counter on it. When enchanted creature dies, put X 1/1 green Saproling creature tokens onto the battlefield, where X is its toughness. When Parasitic Spores surfaces, you may pay . If you do, return target creature card from your graveyard to the battlefield, then return Parasitic Spores from your graveyard to the battlefield attached to that creature. Search your library for a card and put it into your graveyard. Then shuffle your library. 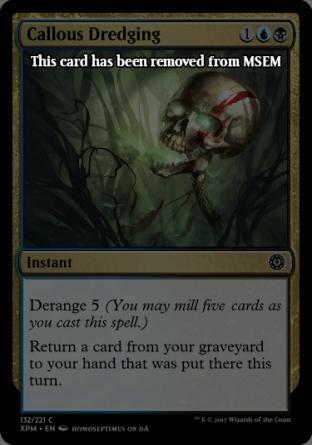 , exile Pierce the Depths from your graveyard: Return target card from your graveyard to your hand. Activate this ability only if four or more cards surfaced this turn. Put the top three cards of your library into your graveyard. You may put one basic land card that surfaces this way onto the battlefield. When Rise from the Depth surfaces, you may pay 1G. If you do, search your library for a basic land card, put it onto the battlefield, then shuffle your library. , : Destroy target nonblack creature. Use this ability only if a creature card surfaced this turn. Whenever Shamblebloom deals combat damage to a player, you may put the top card of your library into your graveyard. If a land card surfaces this way, you may gain 1 life. , : Shuffle a permanent you control into its owner’s library. When Sunken Runestone surfaces, if you control a forest, you may add to your mana pool. When Surrakar Ambusher surfaces, you may pay . If you do, it deals 1 damage to target creature. Then shuffle it into your library. Also, I have one more idea of how to make and work in a flooded setting. What about underwater plains and mountain ranges? I'm talking about Merfolk in and Surrakar in , for example. But there could be other options like that as well. Ixalan gave us mono- Merfolk and mono- Vampires (ugh! ), so why not shifts like those as well? Yeah, I kinda like your idea of the sane merfolk in and the insane Surrakar in . Now that I think about it, if we are doing a world focused on insanity, madness or something vaugly similar to it I feel would be cool for this set. If discard and milling yourself would both be viable stratgies, things that care about graves would be cool too. Speaking of which, I feel surface should either be triggered off when that card is milled or when a specific card type is milled. The former would make it something like madness for mill, the latter would be generally more effective in self mill stratagies (but no way to slot it in or if that happens). If you want a mill theme to represent insanity, perhaps HonchkrowDavid would be willing to spare his "derange" mechanic from Xoltan Pre-Modern? There's also delirium, which is much easier to build around. If you want something to distinguish it from Shadows Over Innistrad's version, as well as giving white something to do in madness world, possibly give white the ability to exile cards from graveyards, flavorfully and mechanically counteracting delirium? I didn't like Delirium, to be honest. Madness is interesting, of course. It's a mechanic that I do like, but that I think has a few issues that makes it hard to design for. With regards to Derange... I do like the mechanic, and I think it would fit into the set very well, but I wonder if the flavor works. Surface's flavor is supposed to represent both a surfacing from the depths of the sea and from the depths of the subconscious mind. I really want to keep playing with this parallelism whenever milling (and possibly also revealing cards from the library) is involved. Of course, finding such parallels in all cases when it comes to naming mechanics might not be easy. Keeping the name Derange would only (somewhat) retain the latter flavor, while e.g. using names like Ebbtide or Recede would only retain the former. 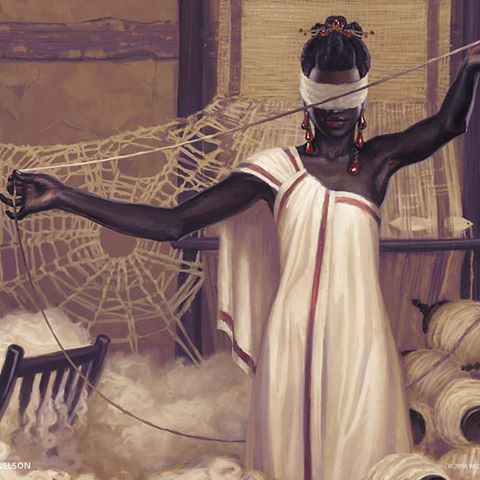 Wait I just remembered something Imprisonment of the Eldrazi did. Maybe a reprisal of this could work as a mechanic? Surface involves milling and this involves searching? Oh hey look like Fragments of Rath has... resurfaced. Doesn't Mersalen kinda fill the flooded water world niche at this point? I remember we talked about using Surface briefly when we were looking for mechanics for it, and decided against. I dunno how much of FoR stands the test of time, now that Khans of Tarkir has stolen our wedge set thunder. I don't know Mersalen. What did it do with the premise flavor-wise and mechanic-wise? Do you have a link? What I found absolutely fascinating about Ana was the specific combination of flavor elements - a flooded world, unspeakable things surfacing from the depths of the sea, a world ruled by madmen and Cephalid mindflayers, the sea as a metaphor for the depths of the subconscious. Here's a link to the Mersalen design page at the very least. Still, with how many people did water worlds in the past, if this were to go down, we must emphasize the mind portion more than the water world in order to prevent people from passing it over. So many people did water worlds. Apart from Shadows over Innistrad block, the space for eldrich/cosmic horrors beyond reason is still untapped even by the people here. And library matters, though ambitous, is grounds that haven't been done before, so there's that too. Still, with how many people did water worlds in the past, if this were to go down, we must emphasize the mind portion more than the water world in order to prevent people from passing it over. I can agree with that. After all, the waters of Ana, while still a physical reality of the plane, were primarily a metaphor of the subconscious mind, with the latter itself doubling as a metaphor for the Library - and I was particularly fond of the cards that managed to combine all three of those flavor aspects. As a matter of fact, "library matters" is one of the things I liked about Ana, and even though it wasn't very well executed mechanically, I think the flavor worked really well. I would want to see "library matters" being one focus again in a full-set adaptation of the theme. Players play with the top card of their library revealed. Players may play the top card of their library. "What are you talking about? I don't have a subconscious!" I don't know how far search the top X cards of target library would go, but I feel like it could work. Whenever a creature card is put into your graveyard from your library, ~ gains flying until end of turn. Also, I just looked and there are some red cards that put cards from the top of the library into your graveyard like Countryside Crusher, Heretic's Punishment, Loafing Giant, and Sin Prodder. Wildly varing sets and contexts asise, I feel like if we were to take surface to another color, red would be a better place to start. I can see this being a theme in in particular. Maybe also and . Weeeell... in Freudian theory, the Id is one component of the subconscious. As a matter of fact, by Freud's own theory, the Id is unconscious by definition. More specifically, it's the part of the unconscious mind that's solely focused on the Pleasure Principle. And you're right, that's af. I can see "the subconscious" work as a topic in . We just have to think about how it could look like and what exactly it could entail, both mechanically and flavor-wise. I've done a bit of thinking and I still like the idea to either rework the set, or extend the flavor of one or two of the wedges to full five-color sets of their own. In case of the latter, people here have named Raka or Ana as their favorite candidates. Personally, I like Ana's flavor the most, but mechanic-wise, Dega and Ceta were the most solid. With regards to Raka... I used to like its flavor a lot, but not anymore. Part of it is that I've studied the Roman Empire a bit more since back then, and I just can't imagine any MTG adaptation of the Roman Empire anymore that doesn't involve . We wanted Raka to be vaguely Greek-Roman, and started designing it as more Greek, but Theros was announced while we were still designing, so we shifted to Raka being Roman. That makes the flavor really inconsistent. As I see it now, the color combination fits the Greek city states fairly well, but not the Roman Empire, and not even the old Republic. As I see it now, I would place the Roman Republic at or maybe at with some goodwill, and the Roman Empire most definitely at - particularly in its later years. It would have fit Dega better - and in case of Dega, we even already had an Empress: Selenia, self-proclaimed Evincar of Dega. Not sure if anyone is even still interested in this, but if we go for the Wedge set option again, we should definitely rework Raka's flavor as well and not just its godawful mechanic. Or we could try to adapt either the submerged world of insanity that was Ana's flavor or the Roman Empire idea (or both of them) into a full-blown set. I would be up for both.